Efficiently sterilize your bottles and accessories, by putting teats, caps and soothers in the included small basket. The sterilizer also has a slender design that won't take up much space. The sterilizer uses natural steam to sterilize baby bottles and other products, killing 99.9% of harmful germs without using chemicals. 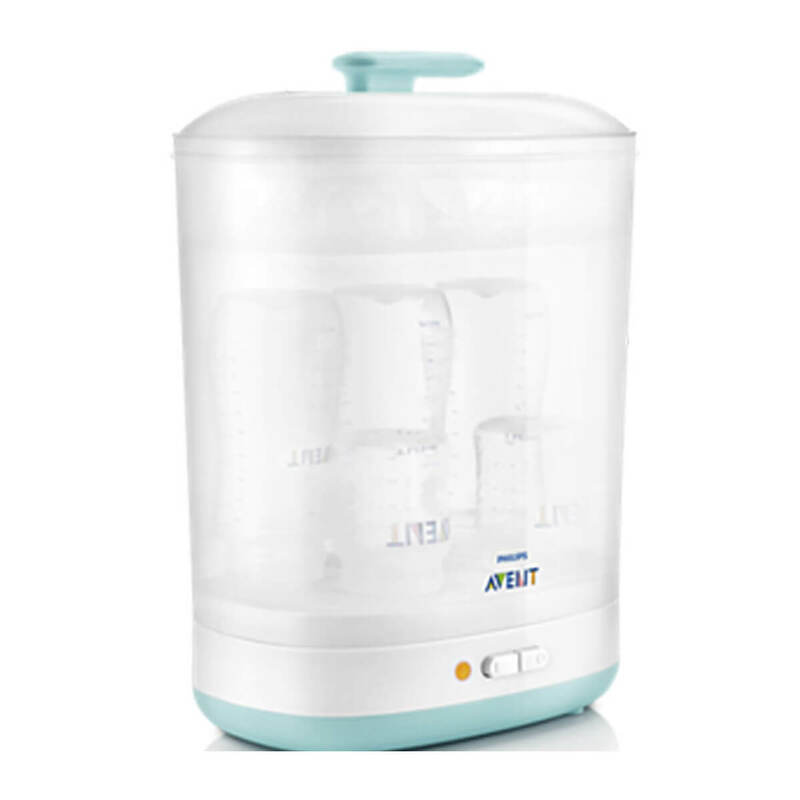 Perfect for giving you peace of mind that all your baby bottles and other products are sterile. The sterilizer will keep its contents - baby bottles, breast pumps etc. - sterile for up to 24 hours if the lid is unopened. With our open design you can easily keep the heating plate clean, allowing you to sterilize with clean steam every time.